Norweigan or US flag colored! 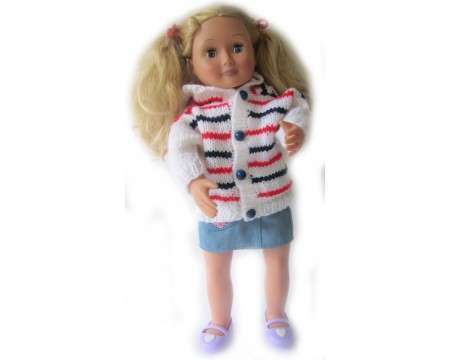 The hooded sweater cardigan has navy blue buttons. The yarn is an European acrylic. Measurements 16" wide wrist to wrist, 8" high and 15" around chest.